Werewolf is an extremely fun sub-class which is more suited toward fighter's (while Vampire is more suited toward magic users) but really anyone can become a Werewolf. For instance my character is a healing templar with just 2 attack powers but in Werewolf form i can easily solo defeat a boss with 3 times more HP than i normally can. While i can't claim to be an expert with Werewolf as i have only been one for a few months (at the time this guide was written) i have found some tricks along the way. Hopefully this guide will help you. Tips for New and Old Players. You will only look like a Werewolf when you are in Werewolf form so if you don't want to mess up your current look or Vampire features doesn't appeal to you then Werewolf will (Vampire gives red eyes and scarred skin). Being a Werewolf brings a lot of perks but also introduces a few penalties. If you like to PvP then don't become a Werewolf. Werewolves are vulnerable to poison damage and can't get buffed while in Werewolf form (just healed). With the Werewolf ultimate slotted in your bar, you will gain a bonus to Stamina regeneration. You get a 50% weakness to poison. You become a killer tank. You can only become a Werewolf by getting infected with Lycanthropy from a Werewolf or by buying it for 1500 Crowns in the Crown Store. 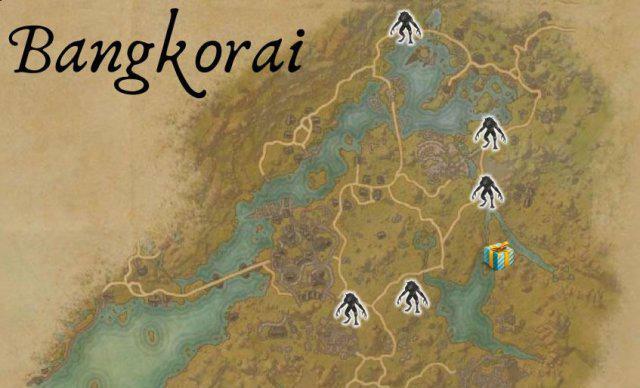 If you don't have enough crowns then you'll need to be infected by a Player Werewolf or an NPC Werewolf but not just any NPC Werewolf will infect you, only special ones that spawn in special locations on full moons. Full moons occur approximately every 8 real days and last 1.5 real days. 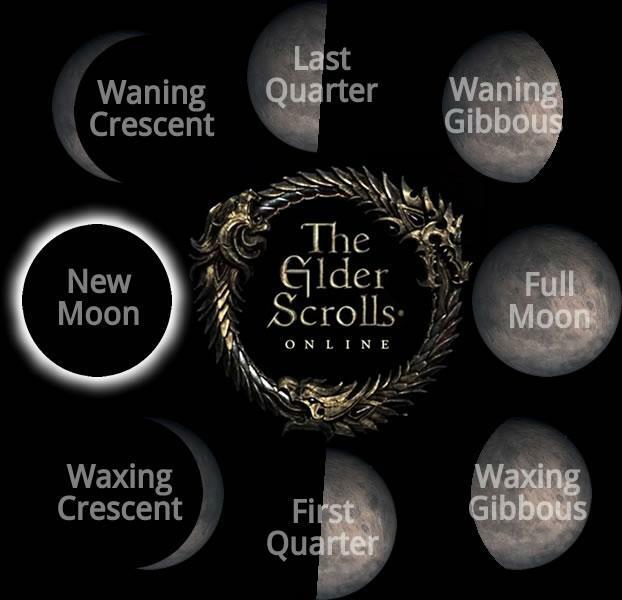 Server restarts also sometimes reset the moon cycle so you should check daily where the cycle is currently. This method while sounding easy is actually very very hard. 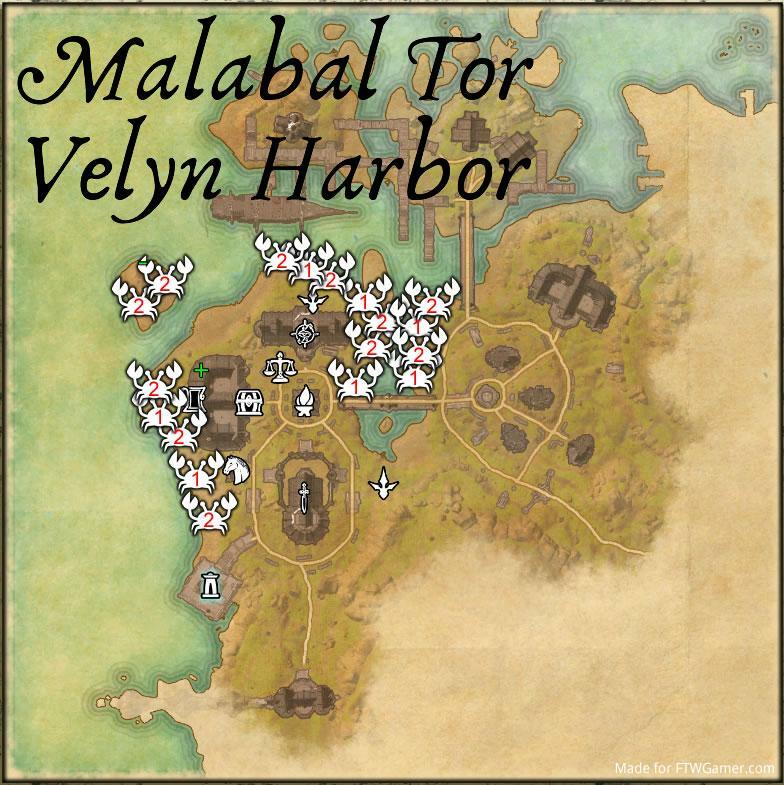 I tried getting infected via this method and aside from forgetting about the full moon, finding the correct NPC's were impossible. I wasted 2 months trying to do it this way. Finally i relented and asked in Riften's zone chat and a nice player bit me. Some players charge a fee for turning you (1000 to 4000 gold on average) and other's (like that nice player) do it for free. The main problem with being turned into a Werewolf is that player Werewolves can only do it once every 7 real days. Bethesda did this on purpose to balance it because Werewolves are very powerful. Once you find yourself a player who will turn you, you and that player need to go to Hircine's shrine (aka Werewolf Shrine). 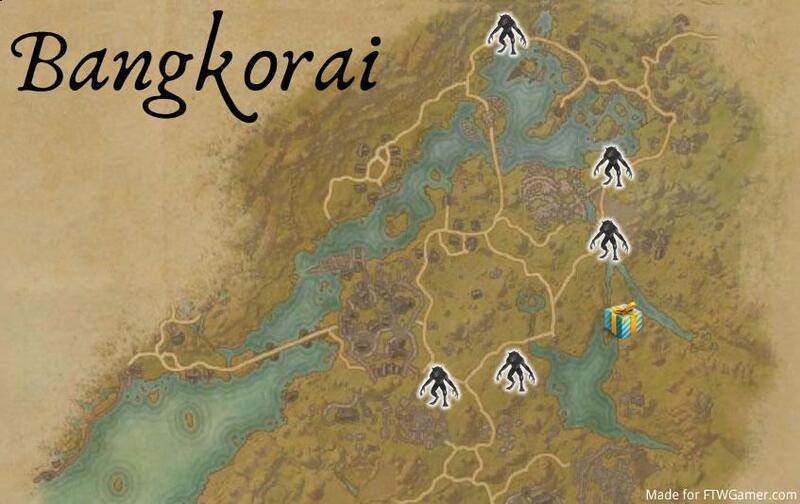 There is one in each faction's territory (marked on the maps below as a gift icon). You will need to stand close to the shrine and then the player turns into a Werewolf (they might first have to charge their Ultimate). Then the Werewolf player presses X on their keyboard to bite you (but only if they have unlocked the "Bloodmoon" passive skill or they have not bitten another player in the last 7 real days). Then look on at the altar for a scroll, use it and enter the portal (you have 3 real days to do the quest otherwise the infection wears off and you will have to get bitten again). Once inside, talk to the NPC who will send you to kill a beast. The beast is one of 4 bosses with 100k HP. Ignore all the low level enemies in the area. The fight is very very difficult especially if you aren't used to melee combat (my character is a healer and i spent almost an hour and died dozens of times trying to kill the Troll). If you're having trouble defeating the boss, then the general strategy that works is this: Run in circles around the boss and avoid their attacks, when you reach their back take a swipe at them. Keep this up until you defeat them. If you are already a Vampire, then you can't become a Werewolf until you first cure your "Sanguinare Vampiris" (see "Curing Lycanthropy” section at the end of this guide for locations). Your Werewolf skills only increase when you kill while in Werewolf form. This can be very difficult if you plan on doing it legitimately since Werewolf form is limited to a few seconds before you turn back to your humanoid form. Also, all enemies give the same amount of experience (for the Werewolf rank) so it's better to attack weaker enemies since they die faster. For this i recommend Crabs because they don't do much damage and there are lots of them. Right after i was first bitten and i saw how hard it was to level up Werewolf i started looking for a power leveling spot. I spent hours searching and found a great location. You can get your Werewolf skill to level 9 in 1 to 3 hours there (1 hour if your build is a fighter and 3 hours if your build is a healer like my character). 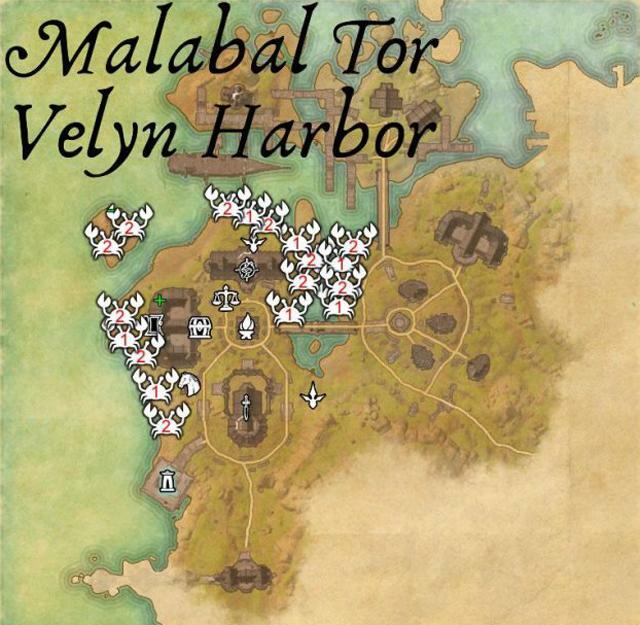 The RED text in the crab symbol is the number of crabs in that area. The GREEN + icon is the enemy you can attack to charge your Ultimate. The GREEN - icon is the enemy you can attack to charge your Ultimate. At first you will only be able to kill 2 to 4 crabs before you run out of time, but as you level up Werewolf and unlock passive skills, you will be able to stay in werewolf form for much much longer. The only morph im describing below is the one that changes what kind of Werewolf your Werewolf Ultimate ability will turn you into. Personally, i recommend you go with Pack Leader because it turns you into an amazing tank. The wolves respawn every few seconds and don't do very much damage but they really do a good job at tanking so you can stay alive longer. Werewolf Transformation (Ultimate Skill): Transform into a beast, fearing up to 3 nearby enemies for 4 seconds. While transformed, your Light Attacks cause enemies to bleed for 2708 Physical Damage over 8 seconds and your Physical and Spell Resistance are increased by 9966. While slotted, your Stamina Recovery is increased by 15%. Pack Leader: Transform into a beast, fearing up to 3 nearby enemies for 4 seconds. While transformed, your Light Attacks cause enemies to bleed for 2708 Physical Damage over 8 seconds and your Physical and Spell Resistance are increased by 9966. Summon 2 wolf companions for the duration of your transformation. If killed, they will return after [16 / 14 / 12 / 10] seconds. While slotted, your Stamina Recovery is increased by 15%. Werewolf Beserker: Transform into a beast, fearing up to 3 nearby enemies for 4 seconds. While transformed, your Light Attacks cause enemies to bleed for [3781 / 3844 / 3866 / 3907] Physical Damage over 8 seconds and your Physical and Spell Resistance are increased by 9966. While slotted, your Stamina Recovery is increased by 15%. Brutal Pounce (Rank 2): Pounce on an enemy with primal fury, dealing [1696 / 1713 / 1729 / 1747] Physical Damage. Stuns the enemy for 2 seconds if they were already set Off Balance. Hircine's Bounty (Rank 3): Invoke the Huntsman's blessing, healing you for [4523 / 4568 / 4613 / 4659] Health. Roar (Rank 5): Roar with bloodlust to terrify up to 3 nearby enemies, fearing and setting them Off Balance for [2.5 / 2.8 / 3 / 3.3] seconds. Piercing Howl (Rank 6): Crush enemy with a deafening howl, dealing [2732 / 2760 / 2787 / 2814] Physical Damage and stunning them for 3 seconds. Infectious Claws (Rank 9): Maul enemies in front of you with your tainted claws, dealing [1037 / 1046 / 1057 / 1067] Physical Damage and an additional [3296 / 3329 / 3363 / 3401] Disease Damage over 10 seconds. These passive abilities only take effect while you are in Werewolf form. Pursuit (Rank 3): Increases the Stamina your Heavy Attacks restore by 50% (at rank 7 this can be upgraded to increased to 100%). Devour (Rank 3): Allows you to devour corpses to increase the duration of your Werewolf Transformation by 12 seconds. Blood Rage (Rank 4): Increases the duration of your Werewolf Transformation by 3 seconds every time you take damage. This effect can occur once every 5 seconds (at rank 8 this can be upgraded to once every 3 seconds for the effect). Bloodmoon (Rank 6): Allows you to infect another player with Lycanthropy once every 7 days by returning to the Werewolf ritual site. Players already infected with Sanguinare Vampiris cannot be infected with Lycanthropy. Savage Strength (Rank 6): Increases your Weapon Damage by 9% (at rank 9 this can be upgraded to 18% weapon damage). Call of the Pack (Rank 7): Reduces the cost of remaining in your Werewolf Transformation by 10% for each transformed werewolf in your group, including yourself, up to a maximum of 40% (at rank 10 this increases to 20% and 80% respectively). The reason why Pounce is so low on the list is because the attack doesn't do very much damage. It's fun to use and saves some time when attacking enemies but you should save your skill points for better skills. (5 items) Salvation Reduces cost of Werewolf Transformation by 33%. While in werewolf form Weapon Damage is increased by 150. You can get this armor in Malabal Tor from Delve Bosses, World Bosses, Public Dungeon Bosses, Treasure Chests and quests from that zone. These tips will help you stay in Werewolf former longer and keep your health up. While in Werewolf form you need to keep an eye on your Werewolf transformation bar at all times. If you're attacking an enemy and your bar is at 40% left and there's a weaker enemy nearby, switch targets, kill the other enemy and devour them. Roar is usefull when you're low on health or you need to devour something to get some more time on your transformation bar. Piercing Howl is very very useful, especially if you chose Pack Leader as you and your wolves will do more damage. 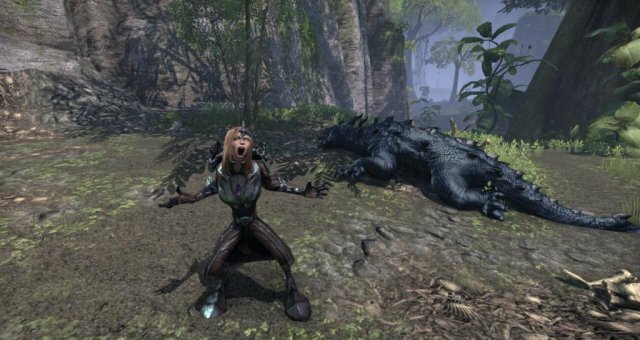 Infectious Claws doesn't do very much damage for the amount of stamina it uses so don't use it very often. Hircine's Bounty is critical during combat. Always keep enough stamina to use it. Get Rousing Roar which is a morph of Roar. It increases weapon damage for you and allies by 20% for 23 seconds. You can cure Lycanthropy/Sanguinare Vampiris at any time by talking to "Prelate Sabinus". He is found at the Mages guild of every faction (in Rawl'kha, Evermore, or Riften). If you later decide you want to be a Werewolf again you will have to get reinfected. All skills you unlocked will still be there so you can continue your progress. If you want to reset your skills, then you'll need to find a Rededication Shrine and pay a large sum of gold. 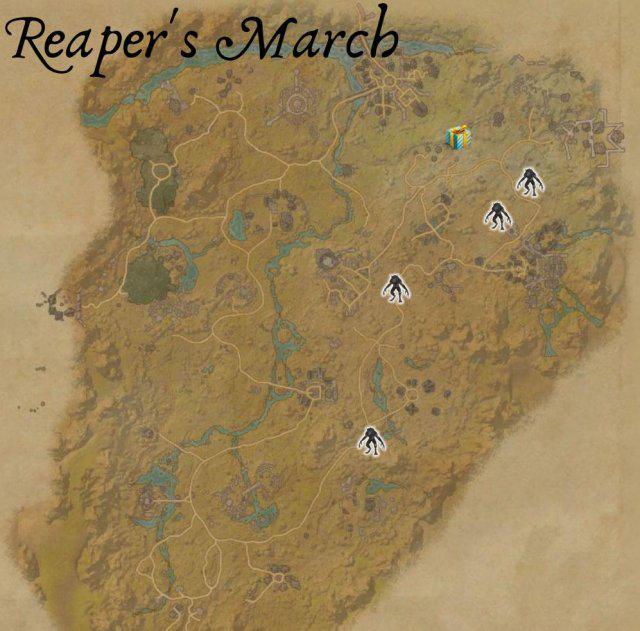 These can be found in the capital cities of each faction (and in Vvardenfell, North of Vivec's Temple).